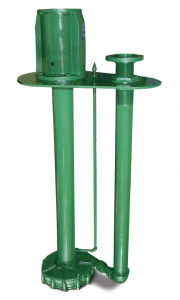 With the number of submersible pumps on the market, it can be difficult to determine the best submersible water pump for an industrial application. It is of the utmost importance for fluid processing professionals to work with a pump manufacturer that has experience, knowledge and top-quality products. Phantom Pumps is the industrial pump manufacturer to trust when you are in need of a new submersible water pump or dewatering pumps. We have a team of application engineers on staff and a global network of Authorized Distributors to better serve processing organizations throughout the United States. Our pump experts are always available to assist our customers and ensure they are equipped with the best pump equipment to keep their operations running smoothly and efficiently. All of our pumps, including our dewatering pumps, DPUMPs and slurry pumps, are easy to install and operate because they feature a self-priming design. Additionally, facilities can see a reduction in labor costs when self-priming pumps are utilized at processing facilities. This is because our self-priming pumps don’t require additional manual priming after the initial prime, and our pumps require minimal maintenance after installation. Better still, equipment costs are further decreased because vacuums, ejector pumps and foot vales are not needed on these types of pumps. Fluid processors in Florida, Georgia, Ohio, North Carolina, Maine and around the United States currently utilizing Gorman-Rupp, All-Prime, ESCO, Durco and other name brand equipment are always pleased to learn Phantom Pumps often has a submersible water pump, dewatering pumps or other submersible pump that is compatible with their current processing operation. Our pumps typically result in equal or better pump performance and lower annual pump repair and maintenance expenses. To request pump quotes or for cross-reference assistance, contact a pump expert at Phantom Pumps today.